The International Exhibition of Plastics Rubber, Machinery and Equipment opened in Iran’s capital city of Tehran on Sept. 24, Trend correspondent reported from the event. 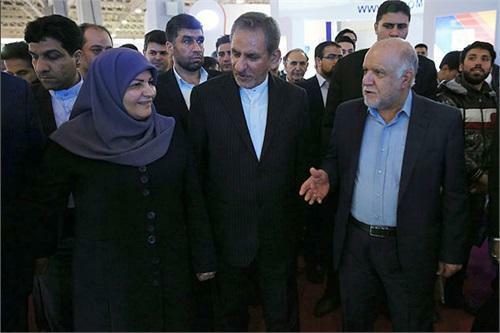 The four-day expo, namely, Iran Plast 2017, was inaugurated during a ceremony by senior Iranian officials including First Vice President Es’haq Jahangiri, Oil Minister Bijan Namdar Zanganeh and Marzieh Shahdaei, executive director of National Petrochemical Company. The event is Iran’s biggest exhibition showcasing latest products and achievements in the polymer and plastic industries. Over 500 foreign companies from 24 countries including Belgium, Denmark, Germany, Finland, France, Greece, India, Serbia, Italy, South Korea, Austria, Luxembourg, Switzerland, Spain, the UK, Thailand, the Czech Republic, Cyprus, Turkey, Taiwan, China, Japan and the UAE have participated in the 11th round of the event. The expo has three sections including Raw Materials & Services, Finished & Semi-Finished Products, and Machinery & Equipment.